After reaching the Phnom Penh International Airport, get in touch with the travel representative and check-in to the hotel. The national capital of Cambodia, Phnom Penh is situated at the confluence of three rivers Mekong, Bassac and Tonle Sap. It is also known as the cultural and historical place apart from being the commercial and political hub of the nation. There are plenty of tourist attractions near the riverside, and you can visit the restaurants, cafe and shops of the region. Check-in to the hotel and have a pleasant overnight stay. After having breakfast, you can move to the Royal Palace, which was built as the residence of the Cambodian King and his family about a century ago. It is situated in the old city and has magnificent buildings like the Throne Hall. You can also see wall paintings depicting scenes from the Reamker, which is a Cambodian epic based on the Ramayana. You can also visit the National Museum and see ancient artefacts and bronze statues of Lord Vishnu and Lord Buddha and various other excavated ceramics dating to 5000 BC. There are many stone sculptures of various deities and monarchs in the Museum. Later, you can move to the Wat Phnom Temple, which is shrine on top of a man-made hillock. You can see the statue of Lord Buddha floating in the Mekon River in this place. You can spend some time relaxing in this secluded place. After that, you can go to the TuolSleng Genocide Museum, which became famous under the rule of Khmer Rouge. He used the place to torture people, and the place stands as a reminder of the atrocities committed under his rule. Ironically, the place was a school before Khmer Rouge took control. You can later go for shopping at the Central Market, which is about 60 years old. It is built in the shape of a cross that has a dome-like structure at the centre. Tourists visit this place to buy gold and silver jewellery along with various antique coins and spices. Later, you can go back to the hotel and enjoy a pleasant overnight stay. After having your breakfast at the hotel, proceed to the Siem Reap City and check-in at the hotel. Siem Reap is one of the most popular tourist attractions of the region. 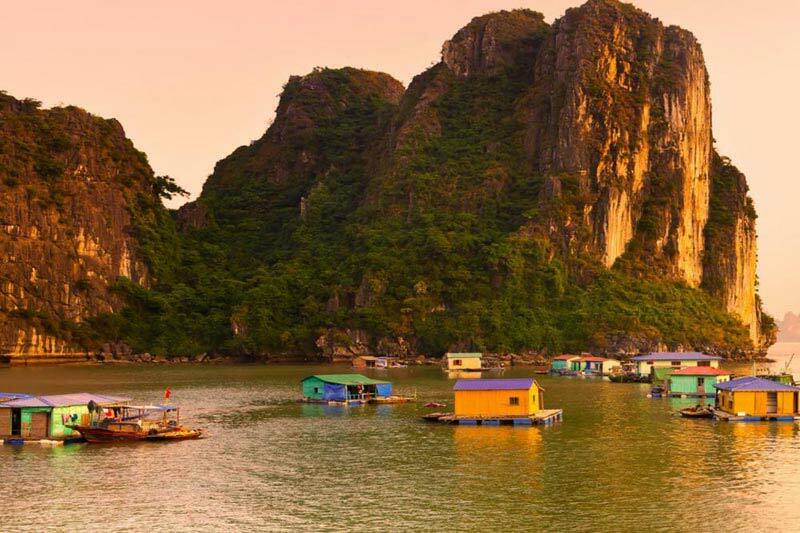 It is located in the northwestern part of the country, and tourists come here to spend thepeacefulholidayat the Tonle Sap Lake. The Landmine Museum is also another popular tourist spot where you can see mines, guns and weaponry. The mock minefield at the site is a good attraction for tourists to try and find de-activated mines. You can later get back to the hotel and enjoy the overnight stay. Begin the day with your breakfast at the hotel and move ahead to have an incredible cultural, spiritual and historical tour of the city. Later start the day with a visit to the Angkor Thom built in the 12th century by King Jayavarman. It was the last capital city of the Khmer empire and the high walls protected the city from enemy attacks. Now, it is in a ruined state. Jayavarman VII also constructed the BayonTemple, which is one of the most visited places in this region. The grandeur of Khmer empire is reflected in the giant carvings on the walls and pyramidal towers. You can also find scenes depicting the daily life of locals and also from Hindu and Buddhist mythologies on the eastern and southern galleries of the complex. You can later continue your sightseeing and move to Baphuon, which is a shrine built in Angkor Thom. It is originally dedicated to Lord Shiva and symbolises Mount Meru. It is in the shape of a mountain and was later converted to a Buddhist temple with the rising popularity of Buddhism in this region. You can later visit the king's monastery known as Rajavihara, which is dedicated to the mother of King Jayavarman VII. It is now called Ta Prohm Temple and has gigantic trees growing in and around the complex making it look like a jungle. It is very popular among the tourists and also a favorite shooting spot for movies. Enjoy your breakfast at the hotel and get ready to visit the floating village Chong Kneas situated on the banks of Tonle Sap Lake. 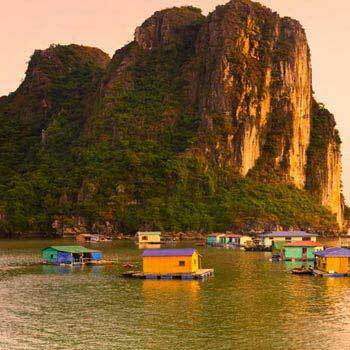 It is a visual treat to watch the houses float on water in this place. You can have a relaxing boat ride on the lake and see the village culture which is dependent on the lake. The locals get most of their food from the lake. There is also a floating school in this place. Later you can see the local artisans making silk at the silk farm by using traditional techniques. After having an excellent tour of Chong Kneas, you can return to Siem Reap and have a pleasant overnight stay at the hotel. After having breakfast at the hotel, get into the Siem Reap International Airport to catch your onward flight.